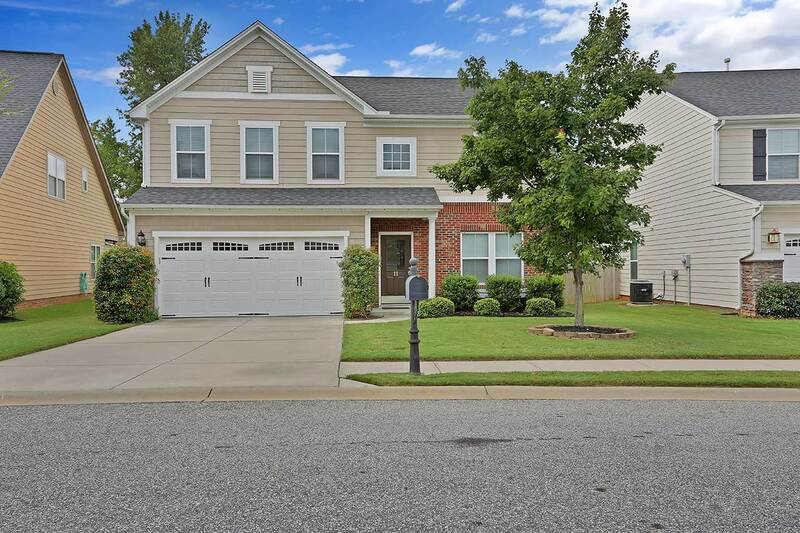 Here’s your chance to secure a home located in an excellent gated community minutes to downtown Greenville with plenty of amenities. Formal living room that could also serve as a home office. Spacious family room that is open to the kitchen and dining room. Lovely kitchen with a custom tile backsplash, granite counter tops, and island with bar seating. 2 car garage with built in storage. Lovely dining room perfect for get togethers. Beautiful screen porch with two ceiling fans. Hall bathroom and a great size laundry room on the second level. Master bedroom features a large walk in closet and beautiful master bathroom with double sink vanity, separate shower and garden tub. Three spacious bedrooms also on the second level. This home is now ready to be enjoyed by a very lucky new family. Situated in the lovely gated community of Plantation Greene located just the outskirts of Greenville offering lovely amenities such as club house, lights, playground, community pool and sidewalks, the home itself is sitting on less than a quarter acre lot and features 4 bedrooms and 2 baths. On the main level, the home presents a spacious layout comprising of a formal living room that can also serve as a study room or home office, spacious family room, dining room, and kitchen all of which are open so everyone can join in a good talk, mudroom, pantry closet, and screen porch. On the second level, there’s a hall bathroom, three generous sized bedrooms, laundy room and the master bedroom. The full sized kitchen is ever practical with plenty of storage as well as custom tile backsplash, granite counter tops, and custom made island with bar seating. Each of the bedroom is a great size with carpeted flooring and ceiling fan. This newer 2 story home is neat and tidy throughout, ideal for the growing family, the executive couple or anyone looking for their first home. Located in the popular Plantation Greene, a moments drive to major highways, shops, market, restaurants, park, and more, this home offers you the key to the lifestyle you seek, convenience and comfort.